Failures that led to a major baby death scandal could be being repeated elsewhere because midwives are not challenging poor care, the country’s most senior midwife has said. Eleven babies and one mother died amid a “lethal mix” of failures in Morecambe Bay maternity services between 2004 and 2013, an inquiry found earlier this year. The years went by, the lies mounted, but James did not give up. The report by health official Dr Bill Kirkup found a “dysfunctional” maternity unit giving substandard care, with midwives at Furness General Hospital who dubbed themselves “the musketeers” pursuing natural childbirth “at any cost”. Yesterday the general secretary of the Royal College of Midwives (RCM) raised fears that similar failings could be going on elsewhere, without the public knowing. 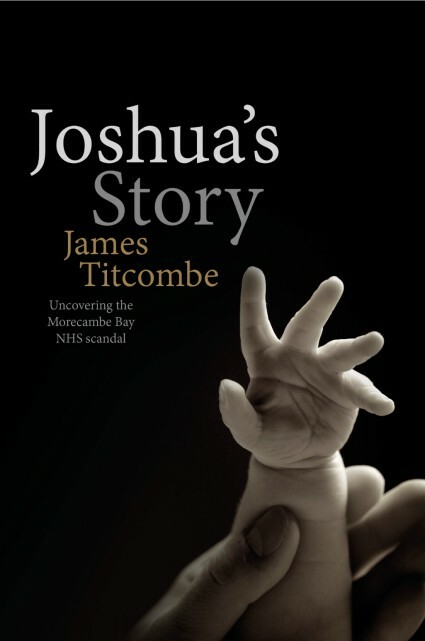 That Warwick finally acknowledged the terrible truth is due, in no small measure, to the efforts of one man, James Titcombe, who relentlessly pursued efforts to hold providers responsible for the entirely preventable death of his only son, Joshua. James’ book, Joshua’s Story goes on sale later this week and is already sold out of AmazonUK. The text is spare and beautiful, but it is a difficult story to read. The story of Joshua’s short life is agonizing not least because it is apparent from the very beginning that the midwives involved in his mother Hoa’s care were more concerned about maintaining control of patients than about providing lifesaving care. The facts are brutal. Hoa arrived at Furness General Hospital deeply concerned that she had been quite ill, including a sore throat, in the days prior to starting labor. She had also been sent home with ruptured membranes 2 days prior to starting labor. * The midwives involved in her care dismissed her illness as “a virus,” but when she developed a high fever, they started antibiotics for her. Despite that, and despite the fact that Hoa and James repeatedly asked for antibiotics for Joshua and repeatedly complained that he did not seem well, and critically, despite the fact that Joshua’s temperature was profoundly below normal, the equivalent of a high fever in an infant, the midwives did not call for a pediatric evaluation. I ask the midwives whether or not there was any risk that Joshua might also need antibiotics. The response I get back is clear and absolute. When Joshua collapsed shortly before being discharged from the hospital, he was transferred to a children’s hospital where the staff fought to save his life for 8 days before he succumbed. Joshua died of Pneumococcal pneumonia, which he almost certainly caught from his mother, and which could have been easily treated with antibiotics. After the funeral, James began the search for answers. He had no medical training, and little knowledge of the National Health Service, but he did have his training as a nuclear safety professional. He assumed, incorrectly as it turned out, that hospitals must have safety procedures just like nuclear power plants to prevent accidents from happening more than once. He met a wall of resistance extending from the midwives themselves, through the organizations designed to supervise midwives and hospitals, right through the organizations designed to serve as guardians for patient safety. It was coordinated resistance, with multiple people and multiple organizations collaborating to whitewash not merely Joshua’s death, but, as James came to learn, many other deaths that happened both before and after Joshua’s. At times it was Kafka-esque. The most important part of Joshua’s medical record, the temperature chart that showed his profoundly abnormal temperatures, was noted to be missing from his chart nearly immediately. This extraordinary fact was cited repeatedly by multiple organizations, not as reason to investigae Joshua’s death further, but as reason to justify NOT invesigating it since critical information was missing. The years went by, the lies mounted, but James did not give up. He was supported along the way by the other families whose babies or wives had died and he was helped ultimately by a sympathetic few, mostly outside of the medical system, and the pressure they brought to bear led to a Coroner’s inquest. The Coroner’s findings were shocking. He found that the midwives’ testimony was both unbelievable and the result of collusion in creating answers; that it was likely that the missing temperature information was destroyed; that there was no evidence to corroborate the midwives’ testimony that Joshua’s condition had been discussed with and dismissed by a pediatrician. “Our conclusion is that these events represent a major failure at almost every level. There were clinical failures, including failures of knowledge, team-working and approach to risk. There were investigatory failures, so that problems were not recognised and the same mistakes were needlessly repeated. There were failures, by both Maternity Unit staff and senior Trust staff, to escalate clear concerns that posed a threat to safety. There were repeated failures to be honest and open with “patients, relatives and others raising concerns. The Trust was not honest and open with external bodies or the public. There was significant organisational failure on the part of the CQC, which left it unable to respond effectively to evidence of problems. The NWSHA and the PHSO failed to take opportunities that could have brought the problems to light sooner, and the DH was reliant on misleadingly optimistic assessments from the NWSHA. All of these organisations failed to work together effectively “and the result was mutual reassurance concerning the Trust that was based on no substance. Joshua’s Story will make you cry and will make you very angry. It is a testament to the power of a father’s love in the face of official negligence and massive stonewalling. Warwick’s acknowledgement that midwives bear responsibility for these and other deaths shows that James’ efforts were successful. Nonetheless, as far as I can determine, very few if any of the many individuals involved in providing substandard care and then covering it up have been punished. Most are still working within the system despite their appalling failures. Cathy Warwick has been forced to acknowledge substandard midwifery care, but she has shown no sign that the Royal College of Midwives has taken any concrete steps to prevent tragedies like Joshua’s from ever happening again. Here’s another horror story: British midwives failed to notice (!!) a prolapsed cord, leaving a perfectly healthy baby boy with severe cerebral palsy. He/his family just won 11.5 million pounds in a lawsuit. British midwives… WTF is WRONG with you!?! Why are midwives allowed to do such exams? This is what the doctors are for. I have seen an article in the Daily Mail (I know, not necessarily a good source) indicating that the midwives involved were now, finally, going to face fitness to practice hearings. I hope this is true. James has shown heroic resolve in pursuing improvements, in the face of unspeakable adversity. It is past time for some real change and improvement. It probably is true. The DM may be a festering heap of bigotry, appealing to the baser instincts of the Great British Public but it does have quite a good record for things like this, surprisingly. I read an excerpt of the book and found it heartbreaking. I will admit to being very surprised that Baby Joshua was never examined by a pediatrician until his situation became so dire. My son was examined by a pediatrician shortly after birth and every day we were in the hospital – and since we were having feeding difficulties, more than once to discuss discharge. It is very difficult for me to wrap my head around the concept that a pediatrician would not have examined the baby and checked vitals, that this would be done only upon the request of a midwife. 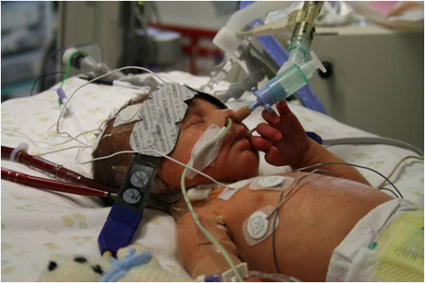 What is the rationale for not having a pediatrician examine a newborn in the hospital? I was wondering the same thing. Both of mine were seen by paediatricians on their first day, and my son was seen again in day 3. We had to wait for the paediatrician before we left both times. I was in the UK in an NHS hospital, so I assumed they all had the same rules. In some hospitals a paediatrician will do the baby-check before discharge, but there is a drive to discharge early and many women get discharged after just a few hours, so a paediatrician isn’t always available in such a tight timeframe. There are midwives trained up to do baby-checks as well, and this happens in some hospitals. If the baby-check midwife isn’t happy then they call a paediatrician. Once home, the health visitors and community midwives carry on the observations. It generally seems to go smoothly. Having said that, I once worked with a unit which was mid-wife led and the rule was that a doctor couldn’t go and assess a patient unless he was invited to by the midwife-no poking your head around the door and asking if everything is OK. That depends entirely on the midwife recognising her limits-if she thinks there’s a problem, she asks her team leader (midwife supervisor on that shift) and then the team leader called the doctor if required. Recipe for potential disaster, and we had a couple before the unit closed. My # 1 had a once over by the paed and physio because of positional talipes and a sacral dimple, which given I have spina bifida, was entirely reasonable, even though I personally wasn’t concerned about her in the slightest. #2 was examined by the baby check midwife, who was super thorough and kept asking me if I wanted to check anything myself or have her repeat it. I didn’t. These are midwives, they have no paediatric nursing experience. Personally, I think if you want them to do baby checks they need to have at least spent a little time in a NICU, even only shadowing, to see examples of what they can’t afford to miss. I can only imagine how difficult it has been for Mr. Titcombe to have to face this battle and have the truth exposed. Baby Joshua was very loved and hopefully all this will lead to other families not having to suffer from preventable deaths and injuries. The terrible thing on top of what has happened, is the total smoke and mirrors situation of the supposed ombudsman and regulatory bodies. They are there in name only. They collude with the NHS and fob people off or conduct unfit “investigations”. This needs to stop now. That is one scathing report. It reads like the Chernobyl of childbirth. Which I guess if your result is a dead baby and seriously ill mother is an apt comparison. Especially if it’s happening over and over again. The only reason that Cathy Warwick is finally admitting this is because Joshua’s story has been published in monograph form. Many people who had no knowledge of his story will read about it in shocking detail now. There is no way left to spin this story for the midwives. They have done nothing substantive to address the charges in the Kirkup Report, and have in fact spent most of their time complaining about how midwives are being scrutinized unfairly. They continue to worship at the altar of “physiologic birth,” and have shown an astounding level of tone-deafness in both traditional media outlets and on social media. It’s too little too late. I wouldn’t trust those midwives to deliver a litter of kittens, let alone a human baby. Let’s hope this book is read far and wide. I’m glad that the book is selling out. People need to read it – most especially midwives. I wish that there was more consequences for the nurses that have been involved in the ongoing coverup and the harassment of those that have been seeking answers. I’d want to see the RCM to be gutted or revamped significantly. Cathy Warwick and her supporters have shown callous disregard towards patients, their families, infants and done terrible damage to the reputation of midwifery. They “lost” the record of Joshua’s temperatures, which indicated infection. There’s should be criminal charges against these people, as far as I’m cybernetics. That is now my new favorite autocorrect. Why hasn’t Cathy Warwick been fired yet? This is not a rhetorical question. How does she possibly hold onto her job given her record? She has the ear of the more ‘respectable’ media outlets in the UK. If she was fired/disciplined/otherwise called to account they would do everything possible to protect her. Those same media outlets that publish Milli Hill’s nonsense. Fourteen patients, two avoidable deaths, and sixty-eight proven charges, and she shows “some” remorse? How do you live with yourself when you’ve caused the death of a baby? And the second paragraph after the first quotation has “relentless”, I think it’s meant to be “relentlessly”. I don’t think I can stomach reading the book. I had no idea that my three-week-old shares his name with James’ son. My heart breaks for them. Absolutely heart-breaking and infuriating – the treatment of Hoa and Joshua and then of James. I hate that James Titcombe had to work so bloody hard for this. I hate that he and all those other families lost their loved ones needlessly. I hate that this was necessary. And he is incredibly brave. I have nothing but admiration for him. I love the NHS, I do, but this was shameful. As an NHS midwife, this situation is heartbreaking. Kudos to Dr Amy for highlighting this. I can honestly say, I had never heard of the midwives bullying this man on Twitter. It is good to know so we can make a stand against it. What they did would be grounds to be struck off the register normally. These people are harming families and bringing our professional reputation into disrepute. The NHS does a lot of things very well, but dealing with issues like this is not one of them. Whistleblowers are bullied out of a job and people who want to speak up are terrified to. I would be shocked if there were not staff at Morcambe who were longing to highlight risk but terrified at what would happen to them. I hope Joshua’s dad’s campaign results in an effective, whistleblowing system. Makes me proud to work in a Trust where obstetricians, paediatricians and midwives have a close, inter professional working relationship, with all held to the same treatment standards. It’s really good to hear that balance and reason are available somewhere! Your post cheered me up, so thank you. Quick question: Does your place know of the report? And, if so, has it done anything in response to ensure that such problems don’t happen there? When you compare that to this most recent self-indictment speech it is clear that something so bad has come up that even she was forced to back off and start backpedaling. Does anyone know when is that NHS review due in? By the end of the year, apparently. Sheena Byrom, a senior midwife who told Mr Titcombe that he was too concerned with risk has now been appointed to the Board of the Royal College of Midwives, and is currently taking part in a presentation called ’50 Shades of Normality’, because of course, being dead is a variant of being alive. I doubt very much that she and her coven will take any heed of this and will continue to push ‘normal’ birth at the expense of safety. I fear you are right. The Warwick woman is paying lip service, though she must know this sin’t a problem that is going to just go away. Sheena accused me of harassing her on Twitter for calling her out on her appalling treatment of Mr. Titcombe. She is repulsive. And she twitters endlessly about supporting midwives and promoting normality, and her feed is full of boastful, self-aggrandizing narcissism, and re-tweeting posts from her followers about how awesome she is. Not a single word about dead babies and risk, and cover-ups-the closest she gets to that is wittering on about being bullied but coming out stronger because of it. She’s a disgusting human being-her twitter behaviour towards Mr Titcombe was truly appalling, as was that of Milli Hill- no compassion, no caring, no concern for anyone other than themselves. And then she gets onto the board of the college-FFS, can they not see how awful this looks? Surely they should be trying to root out the rotten cores? They’re not trying to root out anything. That’s why no one has been punished. Sheila Byrom, Cathy Warwick and the rest of the midwives are essentially spitting in the face of loss parents and loss husbands and daring NHS to do something about it. NHS does nothing because pandering to the union is more important than patient safety. As an NHS doctor in very close contact with midwives I find it really hard to accept the disconnect between the midwives I know and how their college is reacting. I work with some superb midwives whose entire focus is on providing the best care they can, and I know that if the worst happens, they will do their utmost to support families and do whatever they can to help. Our stillbirths are openly and transparently investigated-each and every case. The findings of the panel are made freely available to parents, and generally we find that parents aren’t looking for vengeance or lump sums of money for damages, they are looking for an explanation and a reassurance that we are doing our best to make sure this doesn’t happen to other parents. I’m really proud of our midwives-they do a difficult job with few resources, staffing numbers are being cut dramatically and I know they are run ragged on the wards. So how come the attitude of the college is so horribly dismissive and flagrantly disrespectful and insensitive? I think this happens in a lot of fields-the wrong people get put in charge of making policy. The sensible, practical, hard working and enthusiastic staff stay put and work for their patients, and the lazy-arsed quango-queens who prefer to pontificate and preen about how wonderful they are end up angling for a kighthood/damehood and crawling their way to the top. I wish I knew the answer to that. Sheena has blocked me on Twitter, so I can’t respond to her latest vile attacks. All you have to do is search on SagefemmeSB. Her tweets aren’t hidden if you search that way. Ooh, thanks for the tip, Dr. A! I’m still getting the hang of Twitter. I just checked her twitter feed-she’s retweeted a post from someone accusing Jeremy Hunt (the minister for health) of being a friend of Mr Titcombe which is why Mr Hunt is tweeting about the book, and insinuating that the story is deliberately sensationalised. Can she really dig herself in any deeper? She really isn’t coming out of this looking good, is she? And to think she actually gives talks about the use of social media. I have just ordered James’s book on Kindle. He is a tremendously brave man. The book should be required reading for all UK midwifery students. I have seen how much abuse gets hurled at James on Twitter from midwives and other medical (un) professionals. It’s shocking that they’re willing to show their true colors that way because it means they are used to shutting down all criticism with no consequences to themselves. I’m in awe of his ability to soldier on under the circumstances. In the States, you don’t hear the doctor’s side of the story because they are not allowed to discuss patients or impending investigations. I can’t believe the brutal attacks that the midwives have launched at James without them even being rebuked by the hospital. This is crazy. I am so glad that he has brought this to light and that he has endured through all of the political crap to show the truth. I still have shivers and almost cry every time I see that picture of his wife sobbing over her son. That is the true consequence of these midwive’s philosophy. Glad that James has published a book, so there will definitely not be a way for Joshua’s death to get buried.